On July 15th, RTE’s Rick O’Shea hosted a conversation with NASA Astronaut Dan Tani and ESA Mission Control Operator Andrea Boyd. This action packed afternoon proved very popular and we delighted to sell out the Ed Burke Theatre in Trinity College Dublin. The Interviewer: Rick O’Shea is an Irish radio personality known for his quick wit and charm! He has been a radio presenter with RTE 2FM since 2001. His show twice won Bronze PPI Radio Awards twice. Rick also hosts events as diverse as the Festival Of Curiosity, Pint Of Science Festival, CBI Book Of The Year Awards and Event Industry Awards. The Astronaut: DanTani has been part of two space missions, spending a total of 131 days in space with six space walks! 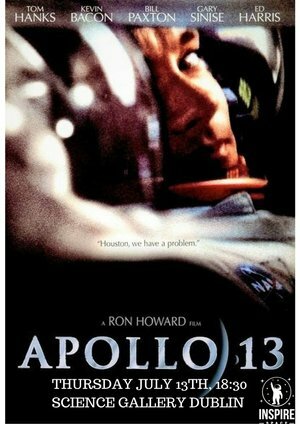 He was selected as an astronaut candidate by NASA in April 1996. Since then Tani has been involved in two spaceflights. His first flight into space was aboard space shuttle Endeavour on a 11-day mission to the International Space Station in 2001. Tani launched aboard Discovery on a long-duration mission to the orbiting laboratory on shuttle mission STS-120 for a long-duration stay aboard the station as part of Expedition 16. The Ground Control Operator: Andrea Boyd is Flight Operations Engineer the European Astronaut Centre (EAC) in Cologne, Germany. Basically – she is the one who communicates with the astronauts onboard the International Space Station (ISS) every day! This means she performs real time operations and helps with the preparation for new experiments on board the ISS. Andrea also served as CapCom on the NASA NEEMO mission which took place off the coast of Florida in June 2017. Ever dream of becoming an astronaut? Dr Geoff Steeves made it to the final 16 candidates to become an astronaut. 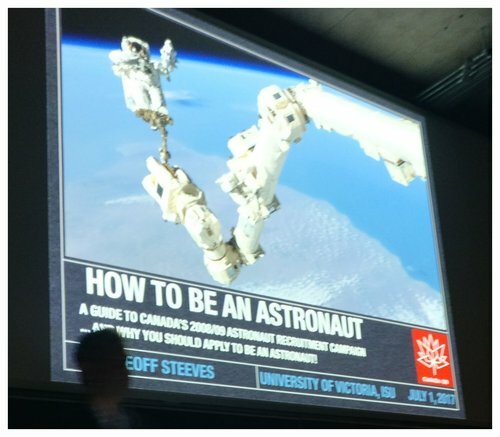 From May 2008 until May 2009 Dr Steeves competed in the astronaut recruitment campaign. Through interviews, medical tests, fitness tests, aptitude tests and stress/survival tests, a field of 5351 qualified applicants was narrowed to 16 finalists. As a top 16 finalist, Dr Steeves described the campaign and highlighted some of the amazing and unusual challenges he faced. 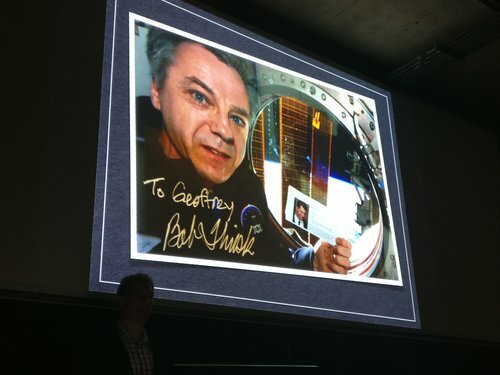 A fascinating experience and talk that enlightened all aspiring astronauts as well as everyone who wanted to know what it really takes to make it all the way to the top. 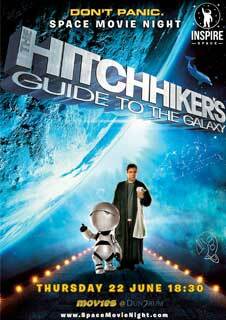 We ran a pilot series of Space Movie Nights in 2017 but due to lack of attendance and high cost we decided to not continue to run them. 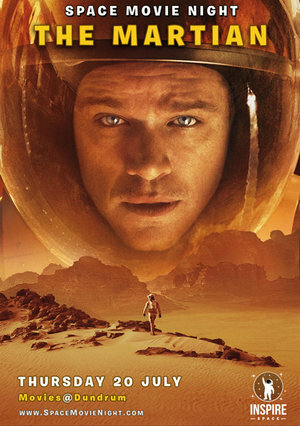 If there is enough interest we will organise them again – bring #SpaceMovieNight back!